When Google announced a set of Star Wars themes and gags across its suite of products, turns out it didn’t tell us everything. 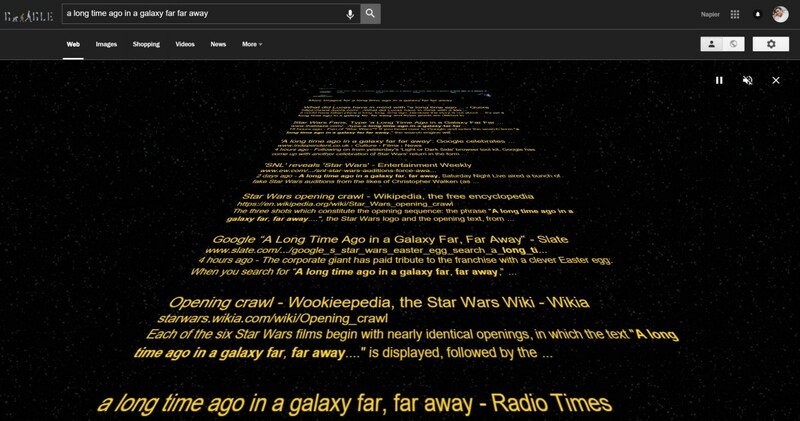 Do that, and you’ll be treated to a set of search results styled like the beginning to every Star Wars movie ever. The accompanying John Williams score, too! If you unmute the audio, that is. It’s not just a fancy visual either; you can click on results, and even scroll through them just as you would with the standard look. So what are you waiting for? Head on over to Google now and try it yourself.